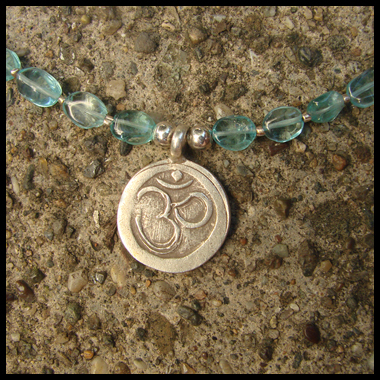 OM or OHM is a syllable, a sound embracing all that that has been or will be, all that is without beginning or end. Its utterance is said to summon potential as it resonates through the mind and the body and exhaled. 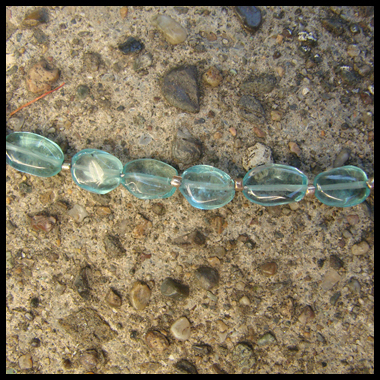 'Aquamarine' is derived from the Latin for sea + water, no doubt based on its crystal blue color. 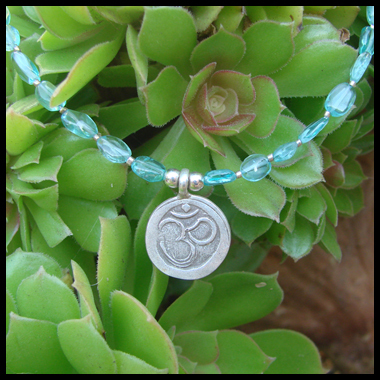 Together with this OHM handmade in Fair Trade silver from the Karen hill tribes in Thailand, this necklace is meant to remind the wearer of positive tranquility. 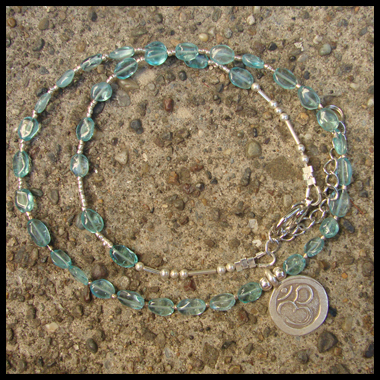 Aquamarine is considered the birthstone of Pisces, February 19 - March 20, and the proposed gift for the 16th and/or 19th anniversary.